United Hatzalah pledges to divert ambulances to Judea and Samaria after Magen David Adom reduces services following budgetary problems. Following Magen David Adom’s announcement that they will be closing services in certain locations in Judea and Samaria, United Hatzalah will be diverting ambulances to those locations in order to provide coverage for the residents of the affected cities. Magen David Adom sent an announcement to the Health Ministry on Thursday stating that they will be completely closing services to five locations in Judea and Samaria due to a budgetary shortfall. The letter also states that MDA will be scaling back its services in an additional nine locations spread across Judea and Samaria. According to the statement, MDA will be closing its ambulance services in the following locations: Dolev, Elkana, Shavei Shomron, Tekoa, and the Regional Council area of Megillot by the Dead Sea. The nine locations that will see a significant cutback will include; Beitar Illit, Beit Arye, Alfei Menashe, the Jordan Valley, the city of Ariel, Ma’aleh Adumim, Givat Ze’ev and Shaked. 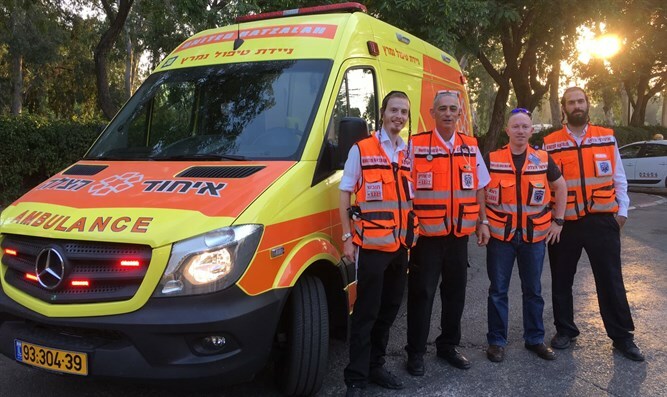 Following the announcement, the management of United Hatzalah has decided to reinforce its volunteers and add ambulance service in those areas in order to prevent a loss of life.